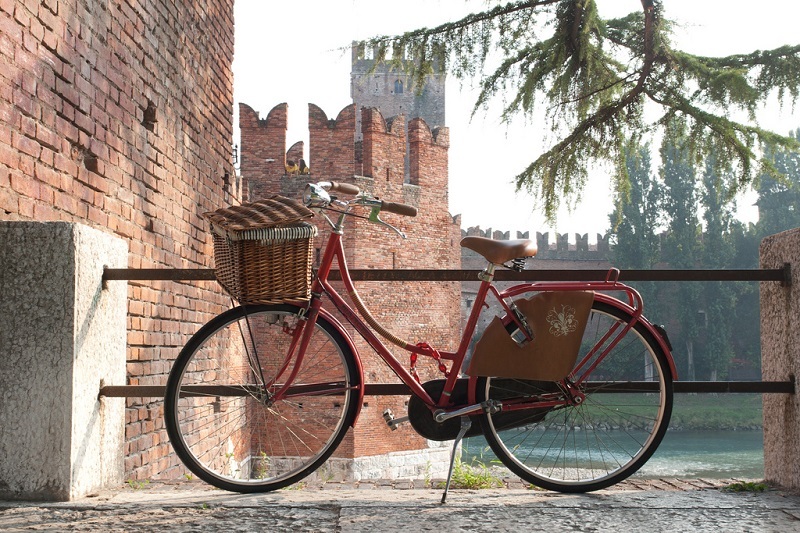 Some travelers rent bikes for a few hours of riding in the Chianti countryside, or book a spot on a bike tour of a city as a different way to explore. If you're a cycling enthusiast, who is traveling throughout the country with your own two wheels, you should be familiar with the rules about carrying a bicycle onboard a train in Italy. The rules about bikes onboard, and the fees associated with it will differ depending on the train you take. A bike that can be disassembled enough to be put in a case is treated as any other piece of luggage, meaning it's free to bring along with you. In this case, you can bring a bike on board any train, not just the ones with a bicycle icon. The case must measure no larger than 80cm x 110cm x 40cm. You can purchase a 2nd class ticket for your bike on the same train you're taking (even if you're in 1st class). You can buy a €3.50 ticket, which must be validated before boarding, that is good for 24 hours and that. On all other domestic trains, any bicycle that can be contained in a case with the dimensions specified above can be brought on board as luggage at no extra charge. The bike must be stowed in the luggage storage area in the same car in which you're traveling. If that area is full, the bike in its case can be stored in any other area of the train as long as it's not in the way of someone or something else. It's even possible to bring a bike along on a select few international train journeys, too, including Milan-Geneva and Venice-Munich. The bike ticket fare for international train trips is €12. Some trains have a space meant specifically for bike storage, but in most cases bicycles must be stored in the same car in which you are traveling. That may mean keeping a bike in your overnight couchette with you, or in the luggage storage area affixed to a railing.